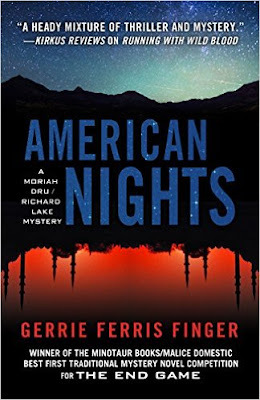 Thanks Marilyn for inviting me to your blog and to write about my new release American Nights on August 17. 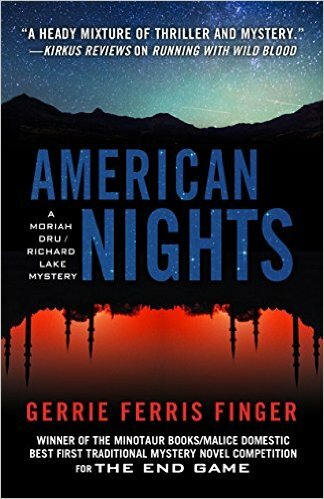 American Nights is the 6th in the Moriah Dru/Richard Lake mystery/thriller series. Dru is a former policewoman turned child-finder (Child Trace, Inc.) and Lake is an Atlanta homicide lieutenant. Another major cast member is Portia Devon, a juvenile judge and Dru’s best friend since kindergarten at Christ the King Catholic school in Atlanta. Dennis Caldwell (Webdog) is Dru’s IT guru. She believes she’d never solve a case were it not for his computer wizardry. 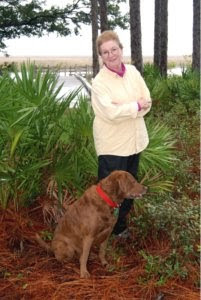 Pearly Sue Ellis is a newly-minted, gun-toting Child Trace investigator straight from South Georgia, eager to get her first field trial. She does. She succeeds, Pearly Sue style. Commander Haskell is head of the Atlanta Police Department’s Major Case Squad, Lake’s boss, and a friend to Dru. When with the APD, he had mentored her as a fast tracker. In this book, a Saudi Arabian prince had gone to college with Portia Devon. Prince Husam asks Portia to convince Dru to find his wife, Reeve, and daughter, Shahrazad (Shara) on the quiet. Dru will not consider such an assignment without sharing the case with Lake. They are lovers and partners. He helps her in her cases; she helps him. That’s just the way it is, she tells Portia. After a take-it-or-leave it message, the prince gives in. Portia tells Dru that the prince is a great storyteller and is partial to reciting tales from Thousand and One Nights, aka, Arabian Nights. One of his favorites, she told Dru, was Ali with the Large Member. Despite being a devout Sunni, he had no problem telling this risqué tale to crowds of men and women. At a dinner to introduce himself and his story to Dru and Lake, he strikes Dru as charming but unbelievable. The meal is typical Saudi fare, but Hasam has added alcohol because, “When in America, you do what the American do.” To Lt. Lake, Hasam is too elusive in explaining his reason for finding his missing family. Besides he’s incredibly good looking and hit the Top 10 of the world’s most handsome men. Prince Hasam tells of falling in love with Reeve Cresley, of turning his back on his possible ascendancy to the power structure of the Saudi kingdom for the woman he loves, their marriage and fathering a four-year-old daughter. He talks of his king’s disapproval of him marrying and siring an infidel. But then he says some cousins in the royal family are pressuring him to return to his homeland, renounce his American family, marry his betrothed, Saudi Princess Aya, and become an heir to kingship. Dru thinks she’s fallen into a fairy tale. Dru talks to Reeve’s parents, Lowell and Donna Cresley, who do not seem disturbed that Reeve is missing with their granddaughter, Shara. They hate the prince and are generally disagreeable themselves. Dru senses Lowell is an unfaithful husband and an alcoholic. He is a prominent heart surgeon. Donna is a medical charity maven. Webdog, in researching the couple, finds Lowell’s made medical mistakes, and Donna sponsored a child that her husband unsuccessfully operated on. The Cresley’s are murdered and Husam is suspect number one, although as the story progresses, other viable suspects emerge. After the murders, Dru and Lake discover where Reeve and Shara had been hiding—in a house in the Cresley’s ritzy gated community. The Cresley’s were taking care of the home while the residents were abroad. After the murder of her parents, and fearing Husam will find her and Shara, Reeve takes Shara to Boulder where she meets up with Thomas Page, a colleague and lover. As U. S. visa resident, Prince Husam is a partner in a New York law firm. Reeve is a scientist who works for NASA in the planetary division in Boulder. The couple spend little time living together. Husam goes off to Paris to see his Saudi princess, Aya, and Reeve is in an affair with Thomas Page. As Dru remarks, nobody in this tale is faithful. Through Web’s internet digging and his connection to Interpol, Dru learns that a French biographer is writing a book on the royal family. 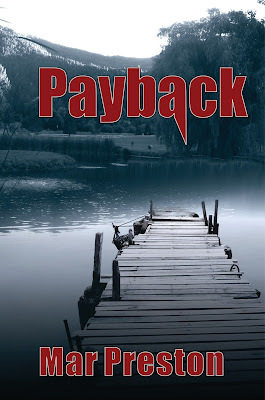 A revelation will change Husam’s life. And that’s all I’m going to tell you. Other than there are several Arabian Nights tales in the book told by Hasam. He is quite a charmer and the tales are as bawdy as modern stories. That is how, my dear friends, American Nights got its title. 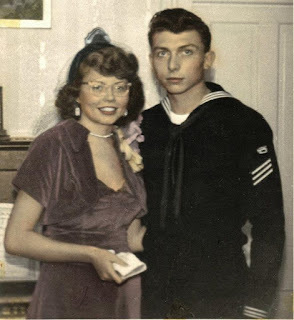 Thank you Marilyn for inviting me to post about American Nights.